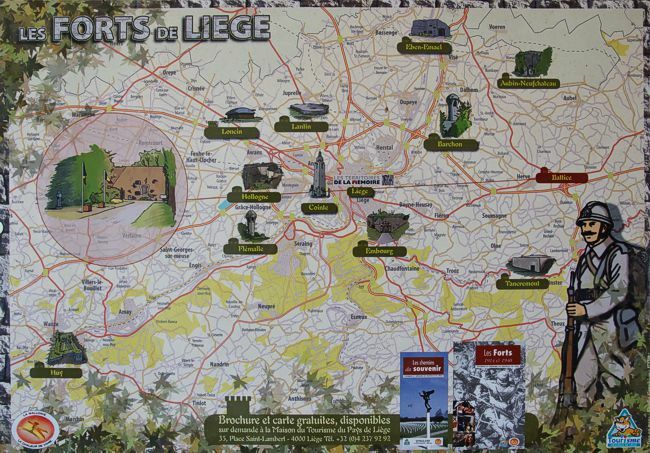 The city of Luik was a strategical position at the border with Germany. There was a ring of fortresses in the east and one closer to the city. It was visited by Henk Adriaanse in 2018. Eben Emael lies in the north, Tancremont in de south and Battice in the east.